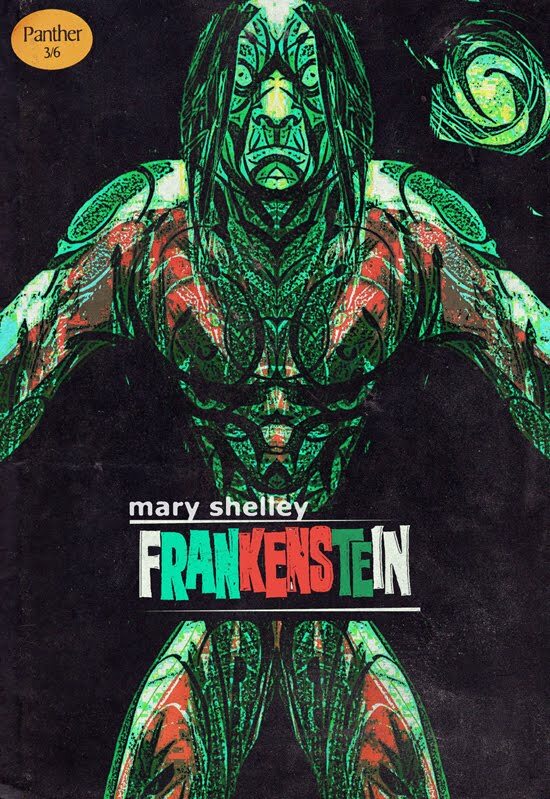 Here’s a fake book cover for Frankenstein that looks better than most of the real ones out there. 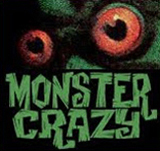 UK artist Shane Oakley created this image in the style of an old paperback cover. The symmetrical effect and simple color design are pitch perfect references to ‘60s graphics. I love Oakley’s art, all hard angles and stark contrasts. 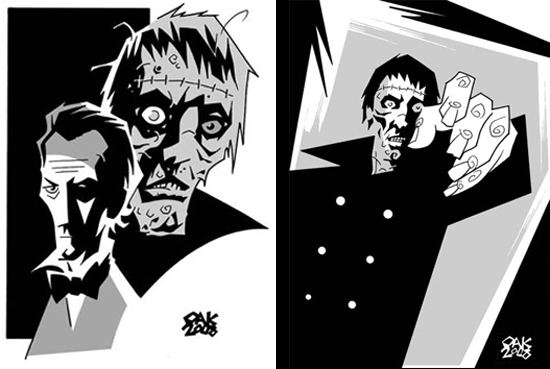 Some of his black and white illustrations are as rigorously controlled as paper cutouts, witness his interpretations of Christopher Lee and Peter Cushing from Curse of Frankenstein (1957), typical of his sparse and perfect, to-the-point work for Little Shoppe of Horrors magazine. There’s lots of great art to admire and enjoy on Shane Oakley’s blog. The faux cover was originally created for Hey, Oscar Wilde! It’s Clobberin’ Time! a thrill to find my art on one of my most favourite blogs. the frankenstein monster is a joy to draw. many thanx to you and david. 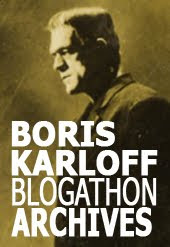 thats one groovy frankenstein,that book cover there..best I've seen in awhile..